I like to keep tabs on what colleges are sending my mail. I think it's an interesting business, this college mail stuff. In any event, BYU, as of today, is now in first place in the category of "Coolest things I've ever received in the mail from a college." They sent, in their trademark blue bubble-wrapped envelope, a CD. 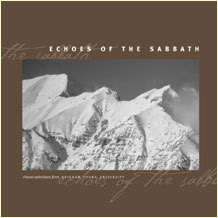 "Echoes of the Sabbath" is their promotional CD. It showcases the best pieces of all of their choral groups. This CD is amazing. There are 13 tracks. Of those 13, five of the songs are personal favorites. Every other song is rapidly climbing the list. I got to hand it to BYU. They sent a DANG effective piece of recruitment. I'm very attracted to the music programs at BYU. Not that I'm a real musical guy, but being in men's chorus would be one of the coolest things in the world. Maybe BYU sent this to everybody on their list, I don't really know. Maybe they flagged me as a music loving guy somehow. Either way, they nailed it. I had no idea, but apparently this was what I wanted for Christmas. Yeah, I'm very impressed with their CD. And I love BYU for sending it to me. Will I go to their school? Yeah, probably not. But heck, they've got a better chance because of this amazing CD. Thumbs up for you guys. yeah, that is pretty cool. :D i would like to listen to the cd sometime. maybe we should have a scripture night. we haven't had one of those in awhile. I'm going to BYU for the music program. 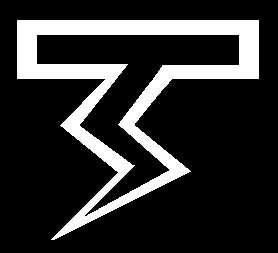 I have thought about going to BUY my whole life, but with the way things have been lately i have been thinking about it more and i want to make it happen. I want to go to BYU for their Music Program and make Vocal Music my Major. and things are just falling into place for it to happen. :D its litterally a dream come true. :D Thats way awesome they sent you a CD! Yeah... I got that CD. They work pretty well, don't they? Their recruitment tactics are proven effective. But I'm not going there either.